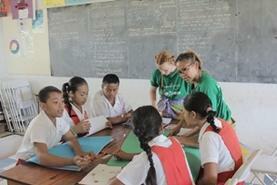 You can impact the lives of numerous children by volunteering to teach in the South Pacific. You don’t have to be a teacher to volunteer abroad on our teaching project. There is no need to have a TEFL or TESOL qualification to gain international teaching experience. You don’t even need to speak the local language where you are volunteering. 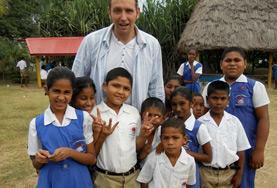 The teaching program is open to all volunteers whether you are on a gap year, at university or wanting a career break. 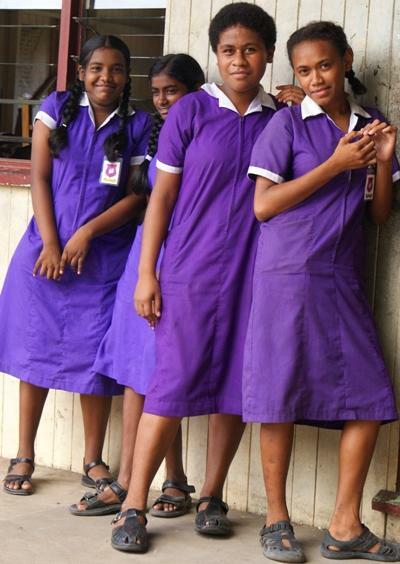 You will find a warm welcome awaits you from our students in the South Pacific. A variety of opportunities teaching English are available in urban, and semi-rural settings within Fiji. Volunteers have the opportunity to teach students in primary schools, and often work alongside local teachers as collaborative counterparts. Most schools in Fiji are equipped with educational tools, and students tend to have a good grasp of English grammar. As a teacher of English, you will fill the gaps by helping students better their pronunciation and conversational skills. You may find that the greatest tool and bridge for effective learning is yourself. The students will want to find out about you, the country you come from, and your interests, topics that can be incorporated into many language lessons. Whatever skills and talents you have, teaching in Fijian schools offers a rewarding combination of the new, exciting, and life-changing, as well as the opportunity to grow both personally and professionally. Teaching in Fiji is a fantastic way to see this beautiful island nation. Work alongside staff in local elementary schools and provide effective, practical help with spoken and written English. Teach in local elementary schools and high schools and gain useful teaching experience, even if you have not taught before. English is an official language of Samoa and classes are taught in English from elementary school. 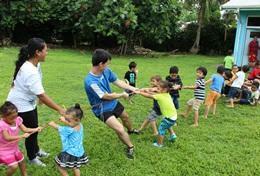 Work in a local school in Samoa and help children improve their football, volleyball, or rugby skills.